In a short four month show season and only six months in training over fences, Quailhurst’s 2005 gelding Caby (Caletin0 x Tjinja) is off to a stunning career in the hunter/jumper arena with owner Rachel Van Allen. 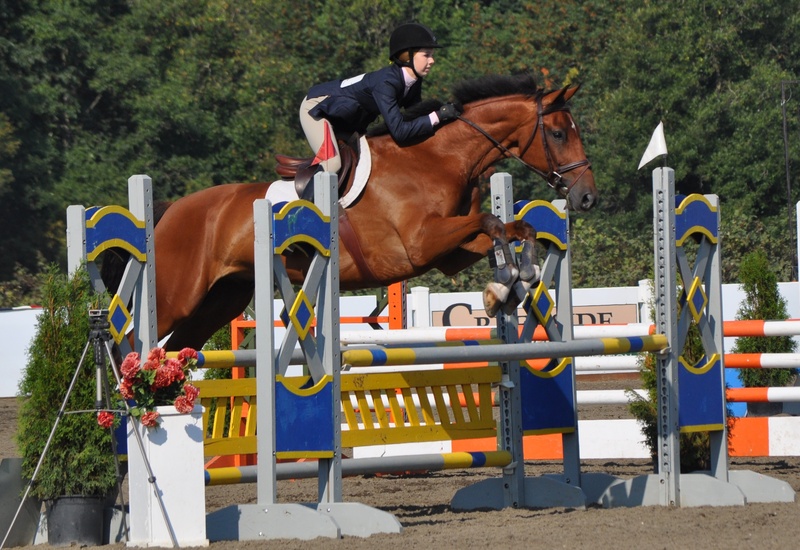 Caby and Rachel’s final show of the year was the Northwest Spectacular in Wilsonville, Oregon (also the OHJA year-end show), and the two were stars in every arena they entered. 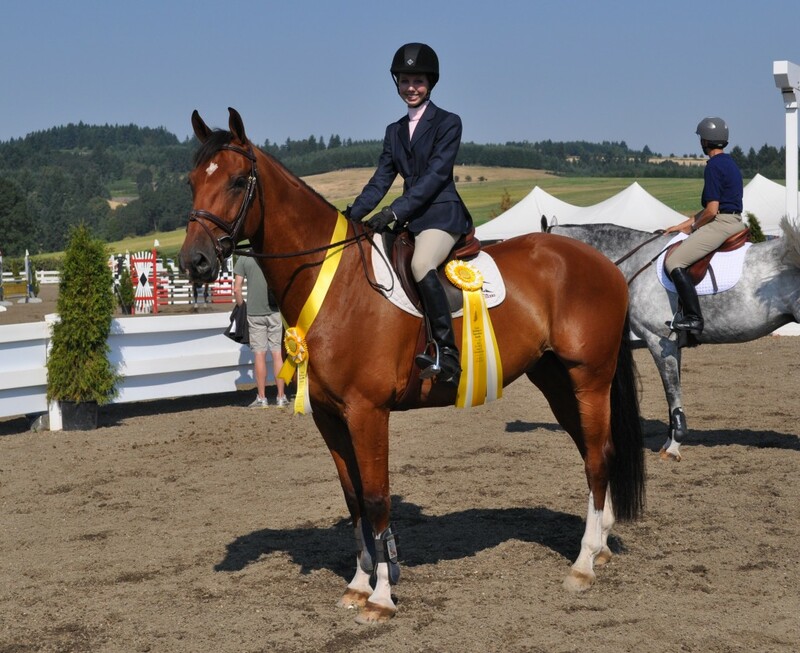 Lastly, we competed in the 3′ Hunter Derby – a first for both of us! Some of the jumps were a little spooky, but he jumped them all like they were no big deal! The top 12 then got called back for a second round and we were in the top 12!! The second course was a handy round so we had to trot a brush jump. He marched right up there so confidently! My trainer let us do some option jumps (3’5″ jumps) and of course it was a piece of cake for him 🙂 We ended up 10th or 11th out of 22 horses! I cannot put into words how happy/excited/proud I am! I have the best horse ever!